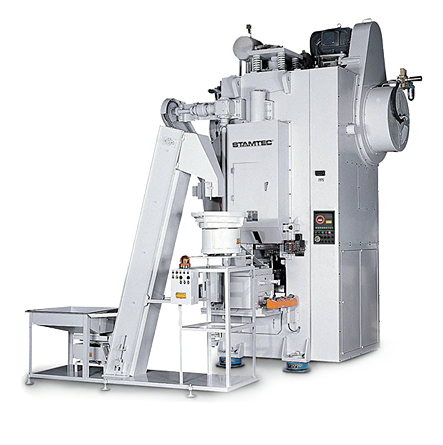 The low-enertia press drivetrain on Stamtec’s 1-point gap frame press lines features gears manufactured with steel hubs, forged steel gear rings, finished and hardened gear teeth and an oil bath and spray system. Together, these features provide close running tolerances, prolonged life and smooth, quiet operation. 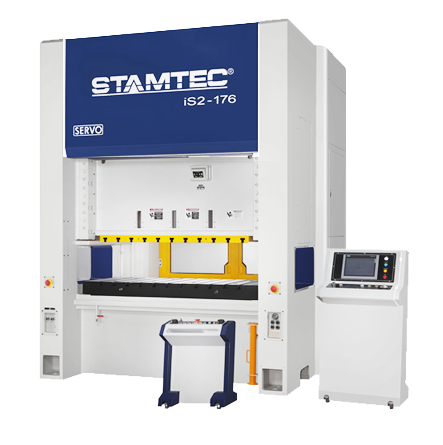 Stamtec's two-point gap frame press series is better suited for left-to-right, off-center loading and can accommodate larger dies, making them eligible for use in applications that commonly require a straight side press. Stamtec cold forging press technology provides particular advantages for producing steel components, improving strength and consistency. Near net shape forming, improved mechanical characteristics, superior plasticity, higher surface quality, and increased productivity are just some of the benefits of cold forging presses. Warm-hot forging presses are ideal for producing parts made from material with flow characteristics that can only be achieved by warming it first (e.g., automotive parts, hand tools, gears, engine parts and net shape forming). Coleman Machinery can design a custom servo press to your exact needs. 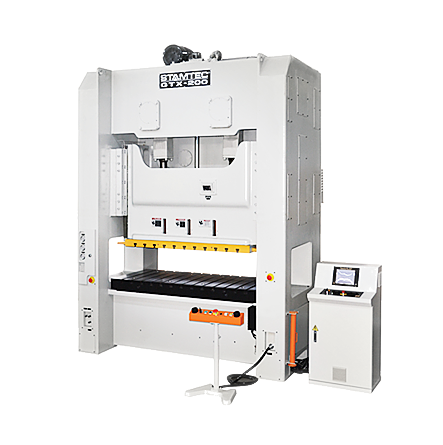 From 80 ton C-Frame to 2400 ton Straight-Side, your Servo Press solution will help you achieve greater productivity and profitability in today’s competitive stamping market.